Here’s Johnny! I know, I know. It’s been a while I posted something. In my defence, I was busy gathering real world experience – the kind that allows me to forget the imposter syndrome for a while. We have been busy shipping a complex microservice system, allowing me to test a number of my blog posts in real life. Most are holding up pretty well, thank you very much. However, one thing that continues to bother me is that writing reusable components is still maddeningly hard on the Web in 2016. First, let’s define the problem. In a Web app of a sufficient complexity, there will be a number of components that you would want to reuse. 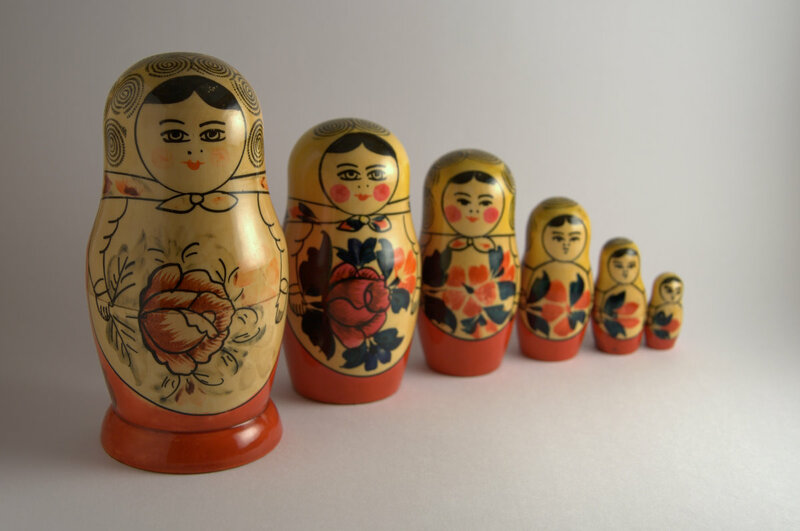 You already know we are a large Node.js shop – reusing modules via NPM is second nature to us. It would be so nice to be able to npm install a Web component and just put it in your app. In fact, we do exactly that with React components. Alas, it is much harder once you leave the React world. You can put a component written by somebody else somewhere on your page. The component will work well and will not do something nasty. The component will not look out of place in your particular design. You will know what is happening inside the component, and will be able to react to its lifecycle. Component (or widget) reuse was for the longest time a staple of desktop UI development. You bought into the component model by using the particular widget toolkit. That is not a big deal on Windows or MacOs – you have no choice if you want to make native applications. The same applies to native mobile development. However, on the Web there is no single component model. Beyond components that are intrinsic part of HTML, in order to create custom components you need to buy into one of the popular Web frameworks first. You need to pick the proverbial buffet first before you can sample from it. OK, I lied. You CAN mix and match, but it becomes awkward and heavy. React abstracts out HTML but if you use a custom component instead of the built-in HTML, React will work fine. All the React traits (diff-ing the two incremental iterations of virtual DOM, then applying the difference to the actual DOM) works for custom components as well. Therefore, it is fine to slip in a Web Component into a React app. One of the ways people loaded components in their pages in the past was by using good old iframes. Think what you will about them, but you could really lock the components down that way. If you load a component into your own DOM, you need to really trust it. Single origin policy and CORS are supposed to help you prevent a component leaking data from your page to the mother ship. Nevertheless, particularly when it comes to more complex components, it pays to know what they are doing, go through the source code etc. This is where open source really helps – don’t load a black box component into your DOM. Be instantly recognizable (think youtube player) in a way that makes it OK that it has its own look and feel. A very complex reusable component with a number of elements can be very hard to dial in visually by consumers. In corporations, this may reduce the number of themes you want to support. A large component may take it upon itself to support 2-3 supported and widely used design style guides. Then all you need to do is provide a single parameter (style guide name) to make the component use the right styles across the board. The timer itself uses two low-level components – ‘Start’ and ‘Stop’ buttons. 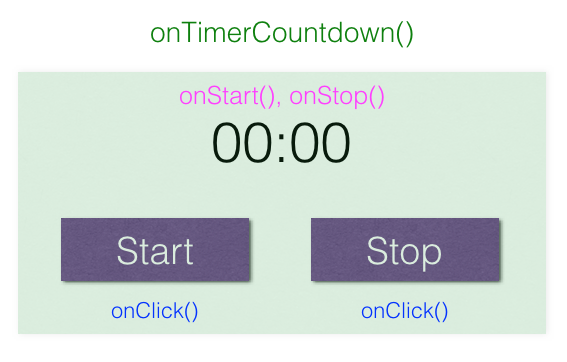 Inside the timer, the code will add click listeners for both buttons. The listeners will add semantic meaning to the buttons by doing things according to their role – starting and stopping the timer. Finally, when this component is consumed by your page, only one listener is available – ‘onTimerCountdown()’. Users will interact with the timer, and when the timer counts down to 0, the listener you registered will be notified. You should be able to expect events at the right semantic level from all reusable components, from the simplest calendars to large complex components. If a component can be made part of a larger document, two things you will care the most is serialization and dirty state. When users interact with the component and make a modification, you want to be told that the component is changed. This should trigger the dirty state of the parent. When the user clicks ‘Save’, you should be able to serialize the component and store this state in the larger document. Inversely, on bootstrap you should be able to pass the serialized state to the component to initialize itself. Note that the actual technology used does not matter here – even the components embedded using iframes can use window.postMessage to send events up to the parent (and accept messages from the parent). While components living in your DOM will resize automatically, iframe-ed components will need to also send resizing events via window.postMessage to allow the parent to set the new size of the iframe. You can fetch the data it requires for the component. In that case, the component is fully dependent on the container and it is container’s responsibility to perform all the XHR calls to fetch the data and pass it to the component. This approach may be best for pages that want full control of the network calls. As an added bonus, you can fit such a component into a data flow such as Flux, where some of the data may be coming from Web Socket driven server-side push, not just XHR request. You can proxy the requests that the component is performing. This approach is also acceptable because it allows the proxy to control which third-party servers are going to be whitelisted. You can configure CORS so that the component can make direct calls on its own. This needs to be done carefully to avoid the component siphoning data from the page to servers you don’t approve. On all of these cases you may still want to be told about the events inside the web component using the component events as discussed above. So there you go – all the problems you need to wrestle with when trying to reuse components in a larger project. Chances are the component is written in the ‘wrong’ framework, but trying to make the component load in your page is only the beginning. Fitting the component into the page visually, figuring out what is happening in it events-wise, and feeding it data from the server is the real battle. Unless you are trying to load a calendar widget, this is where you will spend most of your time.